Passive USB 3.0 cables over 16ft. (5m) in length, for the purpose of data transmission, may result in signal errors and/or noise and are not recommended. An active USB extension and one passive 15′ (4.6m) USB can be daisy-chained together for a total of 30 feet (10m) before any drop-off in signal or quality is detected. 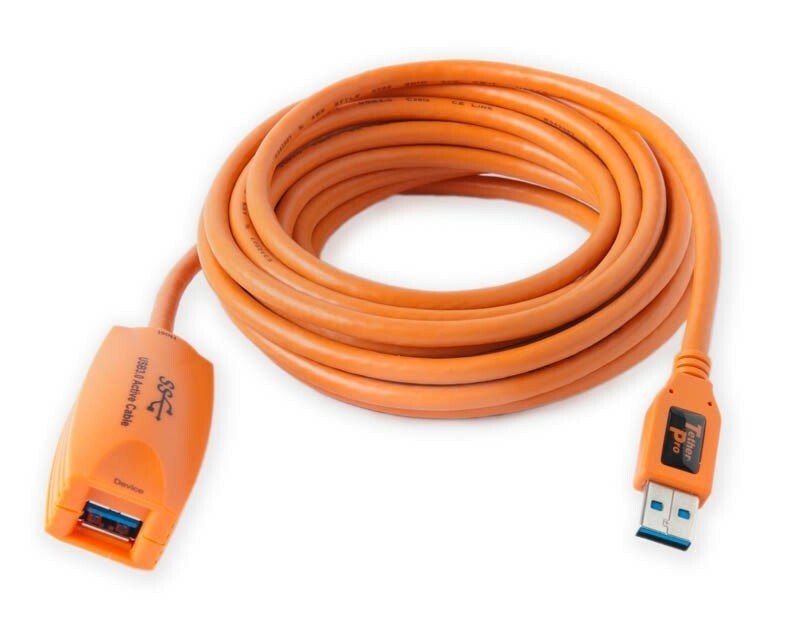 The TetherPro SuperSpeed USB 3.0 extension cable, available in 16 foot (5m) length, is an active extension device. Active extension cables allow for longer tethering distances without worrying about signal errors or corrupt data transfers. Set-up is simple: just plug the male end of the 16′ (5m) Active Extension into your computer and then plug your camera or other device’s USB cable into the female end of this extension cable so the repeater is closest to the device, not the computer.